Australia has one of the highest rates of asbestos-related disease anywhere in the world – but currently there’s no national framework for managing asbestos. 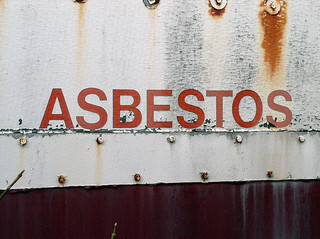 A federal Asbestos Management Review is to be released later this week. Seeing this as a critical time, some trade union and asbestos activists were in Canberra yesterday, lobbying the federal government to establish a National Asbestos Authority. The Third Degree’s Simon Unwin is speaking here with Paul Bastian, Acting National Secretary of the Australian Manufacturing Workers’ Union. Also in Canberra to lobby for a national asbestos authority was Serafina Salucci. Serafina is a mother of four from Loftus in south Sydney. She is living with me-sothelioma, a disease caused by exposure to asbestos. She told her story to the Third Degree. Woodside Petroleum’s proposed large-scale gas hub at James Price Point near Broome, has long been a controversial project. There have been legal challenges and strong community opposition, and now it’s subject to concerns over how its environmental assessment has been determined. Western Australia’s Environmental Authority – the EPA – is expected to hand down the report into their assessment of the project on Friday, but this has been prepared by the chairman of the Board alone, with the four other members removed from the decision due to conflicts of interest. Jessica Minshall speaks with Josie Walker, Principal Solicitor with the Environmental Defender’s Office, Peter Robertson, Western Australia Coordinator with The Wilderness Society. Last week the Rio plus 20 Earth Summit was held in Brazil, as was it’s side conference - the Peoples Summit for Social and Environmental Justice in defense of the commons. The official talks, held twenty years after the 1992 Earth summit in Rio, had the goals of planning for green economies, strengthening global environmental governance and for countries to commit to new sustainable development goals. The Earth Summit document titled ‘The Future We Want’, has been strongly criticised by environmental groups for its lack of substance. This weekend however, the city of Rio, flooded by dignitaries and civil society groups and, well, people from all over the world – will host the second International Uranium Film Festival. And Australian short film about the Maralinga bombings, titled Maralinga Pieces, will premiere at the festival. The film’s director Jessie Boylan speaks with Third Degree's Jessica Minshall.